Frito Lay's Chip Trip promotion is nearing its end, December 31, 2010. Do you still have points left? We have had a super time this year, getting out and about locally, while enjoying some savings along the way. We visited the Edmonton Zoo...at Buy 1, Get 1 free! We took a fall trip to the Calgary Zoo, to see the last of the Dinosaurs Alive exhibit! 50% off a Group of 4. And we also went up the Calgary Tower! Buy 1, Get 1 free! It is likely that we still would have done some of this stuff, but it sure is nice to have a coupon to help out! I have also been able to help out a few other families/friends with some of my Chip Trip points, as they do not have to be printed out in your own name. They were easy to collect (1 or 2 bags of chips gave us these discounts!) and easy to use! So get out there! See your world locally! And enjoy the savings! 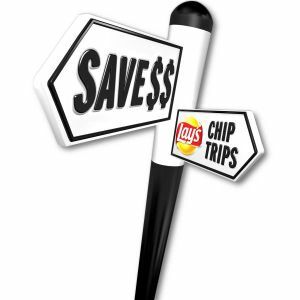 Question to my Canadian Readers: Did you have a chance to use your Lay's Chip Trip points this year? What did you do and how much did you save?? Would you like to see a promotion like this again?